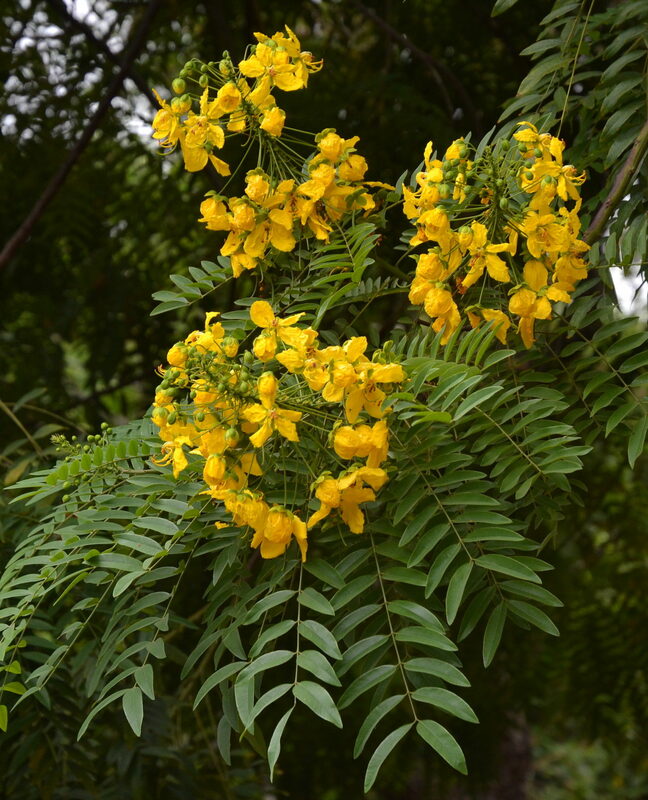 Golden medallion tree is a semi-evergreen species native to Brazil that has foliage similar to that of the invasive plant Sesbania punicea. 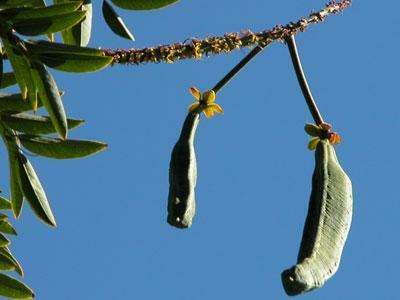 Leaves are 12-18 inches long, deep green, and compound with multiple leaflets. 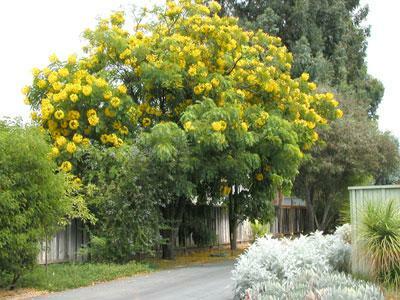 It is a fast growing tree, reaching a height of 20-25 feet by 30 feet wide. 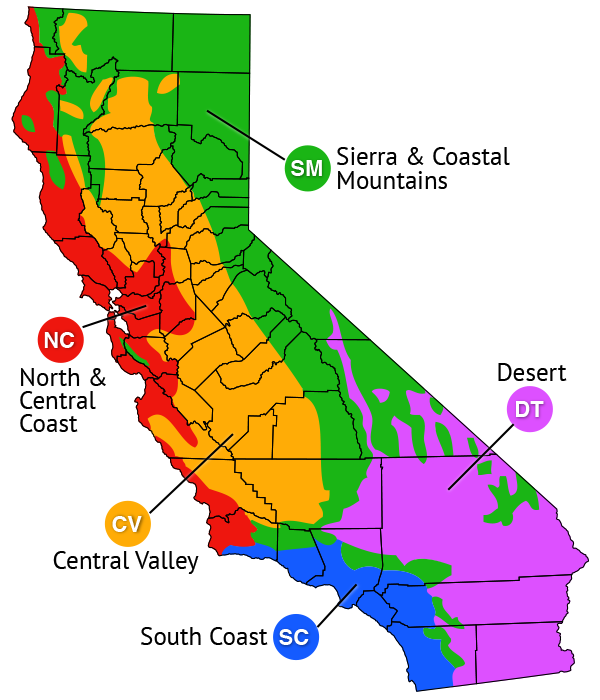 Trees have a tendency to be low and spreading with weeping branches that hang down in the absence of pruning. The flower bloom occurs in summer with vibrant deep yellow flowers occurring in groups on 6 inch spikes. Thereafter trees bloom sporadically until winter. 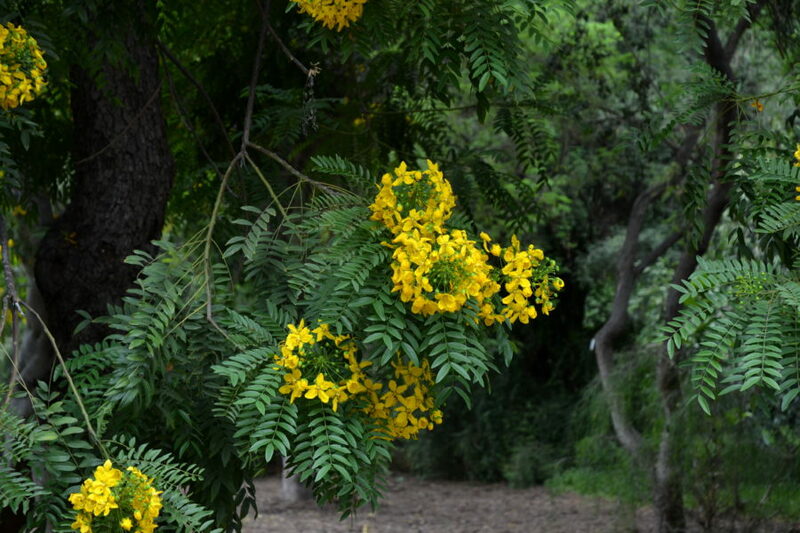 This is a tree species that requires little water but well drained soil. 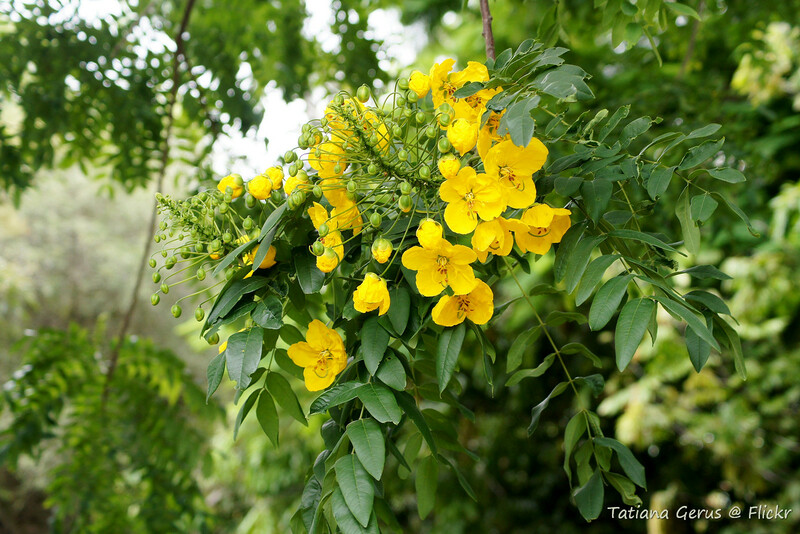 The dense foliage when not pruned makes this a good choice for a screen tree with very showy yellow flower bloom.